Extracted from the nut kernels of tamanu fruit (which flourishes in Polynesia’s fertile, nutrient-rich volcanic soils) this elixir boasts extraordinary regenerative and anti-inflammatory benefits. Ideal for broken, damaged and acne-prone skin, it’s a genuine genie in a bottle and the perfect addition to your night-time regime. 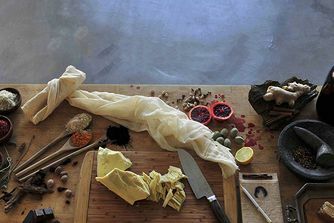 And don't be deterred by the smell... it's earthy (a little cumin-esque), but the aroma is a testament to this oil's unadulterated purity (and efficacy). The scent doesn't linger and you're unlikely to care once you've discovered the incredible, skin-purifying properties. 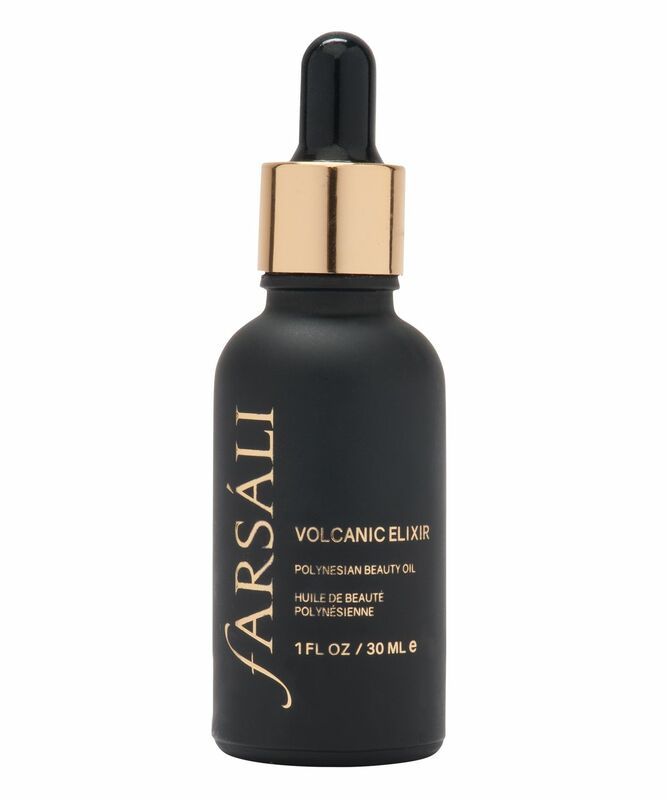 There’s only one secret behind Farsáli’s Volcanic Elixir – the oil extracted from the nut kernels of tamanu fruit, which flourishes in the south Pacific islands of Polynesia thanks to its fertile volcanic atmosphere. Due to the nutrients and minerals from volcanic ash, the tamanu oil that powers this precious elixir contains an ultra-high natural nutritional value, making it an extraordinary skin regenerator. 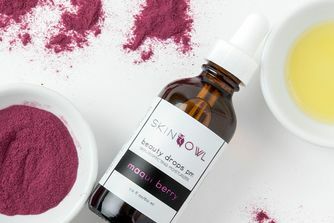 Conditioning broken skin, repairing sun damage and addressing acne damage are just a few of its super powers; it also boasts serious anti-inflammatory, antimicrobial, antibiotic and antioxidant benefits, making it ideal for acne sufferers. With an all-natural, earthy aroma, it makes the perfect addition to any night-time routine – you’ll wake up to ridiculously good results. *Please note that in cold temperatures, this product may become partly solidified. This is perfectly normal, does not affect the efficacy of the product and is due, in part, to the high-grade, unrefined purity of the ingredients (especially the tamanu oil and virgin coconut oil). In order to avoid this, however, try to keep the oil at room temperature or warmer and if it has part solidified, try standing it in hot water for a few minutes to warm the oil up. Shake well before use. Apply to face and neck, before going to bed for best results. Caution: Discontinue use if redness or irritation occurs. Keep out of eyes. For external use only. This has a weird smell, but it helps my irritated skin so much! It calms my face after one night of use already! I've been using this product for several months now and I really like it! I mostly apply it before bed, after the moisturizer. In the morning my skin looks really hydrated and has a healthy glow. The smell is very peculiar, it has that nutty smell that I'm sure not everyone will love, however, you can give it a try and see how it works for you! This oil made my skin so soft and helped to even out all the imperfections. The scars from previous breakouts all no longer visible. I was really excited to get this product but after using one time its been left sitting on a shelf as the smell is very distinct! Like curry on your face. I have been using this for exactly a month now and the results are amazing so far. I am 20 and I have suffered from acne since I was 12. I have tried so many treatments and medicines and none have seemed to work. However, I have been using this for a month now and I (and everyone else around me!) have noticed that my skin has been looking waaaaay much better! I absolutely love it and it is worth your money. You only need a couple of drops every day so it's gonna last you a long time. I have been using it every night before bed and I starting noticing the difference in around 10 days. I now don’t have any active pimples on my face, the redness has reduced and my skin looks more youthful, the scarring has reduced tremendously too and I hope it continues to work the way it is so I get rid of them completely!! (fingers crossed). The only downside is that the smell isn’t the best but it’s not bad at all just a lil bit strong but you eventually get used to it. The most important thing is that keep using it every day to notice results and combine that with a good skincare routine. Tried loads of creams/serums but this works like magic! The first night of trying it out, my skin looked less drained and less tired in the morning, the smell is bearable but you get used to it after a bit. Does make my eyes water but again you will get used to it, definitely worth it. I have been using this for 2 weeks now and I have noticed the small scars on my face from spots that are disappearing, my pores have become smaller and my skin is looking more healthy, feels more smooth and hydrated would 100% buy again. This elixir is lovely on the skin, leaves me feeling silky smooth but the smell is something of a turnoff. It smells a bit funky and spicy. It does actually make my eyes burn a bit. I don’t put it on my eyes but even if I have it on my cheeks my eyes tend to water and burn for a few seconds then it passes. I think it depends on your skin: I have oily T-zone, that sometimes decides to be dry and flaky, and then around the mouth is very sensitive, rest is normal. I saw lots of positive reviews so I bought this about two months ago. I was trying to target some blemishes and used it religiously for like a month and then gave it up. I felt that it just sat on my skin, but then I don't have a very absorbent complexion. I gave it up because I didn't feel like it made any difference. The smell bothered me as well. I'm currently on a medication for acne which gives really bad drying and sensitivity side effects so it's so hard to find something which is moisturising enough for my dry skin but also gentle to not hurt. I use this on nights and I haven't had dry flaky skin (which would have typically been normal for me) since using it. The only down-side is the smell; it's not great but its worth it for the moisture. It's amazing, but the smell is awful. My husband can’t even get close to me everytime I’m using it at night. But I love it. Literally it cured my acne and acne scars! I wear this after my daily skin wash routine and then apply it before I go to bed. And it worked like a charm within a few weeks. I would definitely recommend this to anyone with acne prone skin. Use this magical elixir at night, in the morning I have a moisturized skin and all the irritations relieved. Works perfect on my normal/combined skin. Highly recommended. This is quite a thick oil and it absolutely stinks. The smell is so pungent and it lingers for quite some time. I initially thought the smell would’ve been similar to Sunday Riley’s UFO oil but jeeze Louise this is something else. The UFO oil smell lasts about a few seconds and it smells mainly of cumin which doesn’t bother me but with this oil as another reviewer wrote it is like having curry on your face! After a LOT of trial and error with different moisturizers, this is by far the best product I’ve found. I have acne-prone, combination skin and most lotions break me out, while a lot of the other products on the market aren’t moisturizing enough for nighttime. Not only does this stuff not add to my adult acne woes, I really feel like it’s improved the texture and appearance of my skin. Also, living in Ireland, this is great for the drying winter weather. I use it almost every night (except when I’m using Kiehl’s ultra facial moisturizing night mask once or twice a week) and sometimes during the day when my skin is extra dry. It’s really the only thing I’ve found that consistently works for my skin. There IS a slightly strong earthy smell but honestly I don’t mind it much and it doesn’t really linger on my face that I’ve noticed. I have tried the Volcanic Elixir and my bottle is almost empty so I can leave a review after a longer time of using it. The smell is surely not the best but the results are amazing so you can get over it! My scars and dark spots has disappeared and if I have pimples and use it over night, by the next morning they are gone. Absolutely worth the money like the other Farsali products. My skin has also become more clear, glowing complexion and looks much healthier. Don't think to long about it! Just buy it and you won't be disappointed. 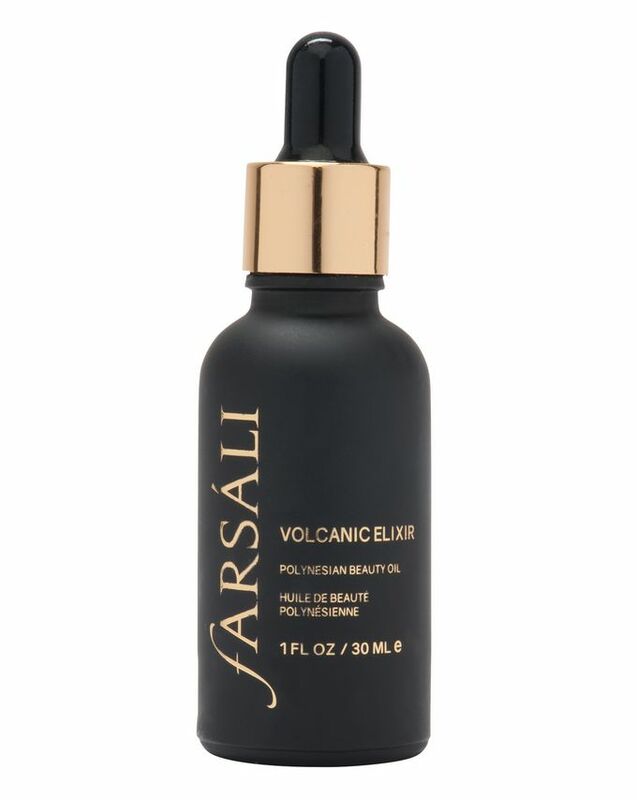 I have been using Farsali Volcanic Elixir for a month now and I must say it has really helped my skin. I've had a few blemishes on my face when I applied the oil during my night routine. I slowly started to see the blemishes fading away. My skin hasn't been breaking out while using and helps with redness on your face. Absolutely in love with this I would recommend it to anyone who suffers from acne, blemishes, eczema and redness! I was a bit afraid to try an oil on my acne-prone skin, as most other oils I've tried have made me break out worse. However, this oil has worked very well for me! I had quite a severe break out and this definitely helped to calm my skin down. It is a bit on the thicker side and it takes some time to absorb. However, when I wake up in the morning my skin feels soft and bright, not oily at all. It's helped to balance my skin a lot more. I'm really happy with the results as I wasn't expecting a lot from an oil. I actually quite like the smell, I don't find it too strong. It smells kind of herbal. On first opening, I wasn't impressed with the smell. I have decided to put up with it and now getting used to it. I only persevered as this little oil has been doing wonders. I have noticed a reduction in redness and my skin is gradually clearing. I do notice in the morning if I have forgotten to use it the night before as the redness returns. Wouldn't be without now. I like this oil, even though it has a strong smell. However, I have not seen real changes in my skin and have switched to a different treatment. I may give it another go because of the previous great reviews. Got it for Christmas and I'm already in love! I was complaining about my spots on Christmas Day and I have used it every day and my skin is already close to being clear and its only New Years Eve today! Although it is pricey, I love this oil. I've been using this oil for over 3 month's now and I love it. Use it before bed as it takes a while to absorb. It smells incredible, I'm obsessed with the nutty fragrance. I've noticed my acne scars fading a little and it helps with the redness on my face a lot, so I love it. Does not really help with spots but does not clog pores either. I'm so glad I decided to buy, even though it's pricey I think it'll last me a while. I absolutely LOVE this oil, it's made such a difference to my skin. It's bright, plump and really well moisturised. The downside? Until I tried this product I'd never even heard of Calophyllum Inophyllum / Tamanu Oil so when I discovered my skin liked it so much I did a bit of research. It's widely available and much cheaper when it's not being sold as "Volcanic" Elixir, you can get a 50ml bottle for around £10. So while I love the product and the packaging I won't be re-buying as the same product can easily be found for a fraction of the price.